Heroin addiction is a serious problem among today’s teens. The drug is an opiate derived from the poppy plant and synthesized from morphine. 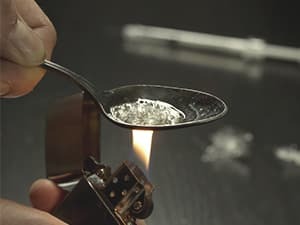 According to the National Institute on Drug Abuse, about two percent of all high school students regularly use heroin. It is most common in the form of white powder or a sticky black substance called heroin tar. If you have a problem with heroin, you can seek teen heroin rehab information at 1-888-287-0471	Who Answers? . We can answer your questions confidentially, at any time of day or night. Heroin is used in a variety of ways. The drug is generally smoked, injected or snorted. The most common method of use is injecting the drug intravenously. This adds to the danger of taking the drug because teens often share needles with one another, which can spread diseases such as HIV and hepatitis. The powder may also be heated, which results in a black tar form that is smoked. “Anytime a drug is misused, it is considered abuse.”Anytime a drug is misused, it is considered abuse. Like any drug, after you have taken heroin for an extended period of time, you may need more of it to achieve the same desired effects you felt with your first use. Taking more and more of a substance to achieve a certain feeling is a warning sign of abuse. Once you begin to need more heroin to achieve a high, you may experience heroin withdrawal symptoms between doses. This can lead to long-term drug use and addiction. Long-term use can cause collapsed veins, infections in the heart or lungs, overdose, abortion, kidney disease, AIDS, pneumonia and TB. Once you discover you or your teen requires teen heroin rehab, you can choose from a variety of programs and detox centers. Inpatient treatment programs are excellent for teenagers who suffer from longstanding addictions or more than one addiction. These programs take place in a professional medical treatment facility. The patient is removed from his home, which helps to remove him from any social triggers that may have caused the abuse of medication or drugs in the past. While enrolled in an inpatient program, the teen will go through evaluation to determine how long he has abused and used the drug. The program will involve several stages of treatment, including detox, rehabilitation and recovery. During detox, the teen is taken off the drug. Often, depressants and other medications are used to help deal with withdrawal symptoms. Detox can take anywhere from a few days to a few months, depending on the severity of the addiction. During detox, the person will receive round-the-clock care to keep them safe. Outpatient programs are similar, with the exception that the individual can return to her home each night. This type of program is typically suited for teens who have not been abusing drugs for very long, and those with no other addictions. Outpatient programs also allow the family to be actively involved in the treatment process. Individual therapy is given to help teens learn new ways to spend their spare time and to address the reasons behind the addiction. It may be suggested that teens discover a new hobby or go back to playing sports or instruments that they enjoyed in the past. All activity outside of the drug culture is acceptable to help keep you remain clean and sober. Group therapy allows the teen to interact with others who are going through the same treatment. Groups such as Alcoholics Anonymous (AA) and Narcotics Anonymous (NA) were created to help individuals going through recovery. Your physician or rehab program can help find teen NA meetings in your area. These meetings are free, and the only requirement is that you have taken drugs or alcohol in the past and are currently fighting an addiction. Family therapy is useful in families that have been torn apart by drug use. In family therapy, members of the family are taught how to look for warning signs of relapse. This helps the recovering addict to stay on the straight and narrow. Often families can accidentally support their loved one’s drug use without meaning to, by ignoring bad behaviors in order to avoid conflict. Without trying to get the teen into teen heroin rehab, you are allowing them to continue the behavior and thereby supporting their addiction. Twelve-step programs are key to many recovery programs as they help addicts deal with normal life while fighting past addictions. These programs begin with admitting there is a problem and continues with helping others fight their own struggles with addiction. As with any addiction, teen heroin recovery is a lifelong process so it’s helpful to find community groups where you can be supported. 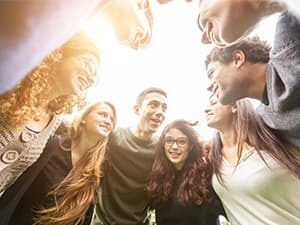 The most important thing to remember while you are going through any teen heroin rehab program is to stay committed by keeping all your appointments and attending group meetings. The meetings can give you new strategies to deal with past addiction, helping you to avoid relapse. If you believe you need to find a teen heroin rehab program, call our free national referral hotline 1-888-287-0471	Who Answers? to find help. It is always confidential, private and secure.